If you live in Charleston you’ve probably heard all about this by now. 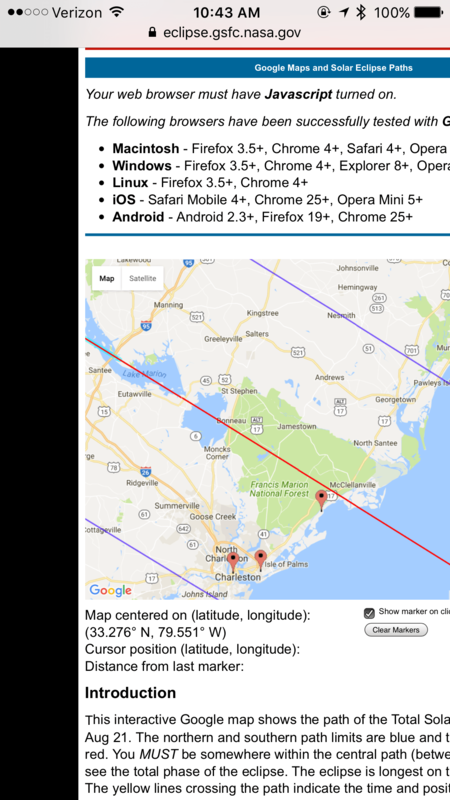 As one of the top vacation destinations in America, Charleston is one of the most popular destinations to view the August Eclipse. You will see the total eclipse on August 21 , 2017 but just 90 seconds worth. The closer you get to McClellanville to the Northeast the more time you get. There it is a minute longer. 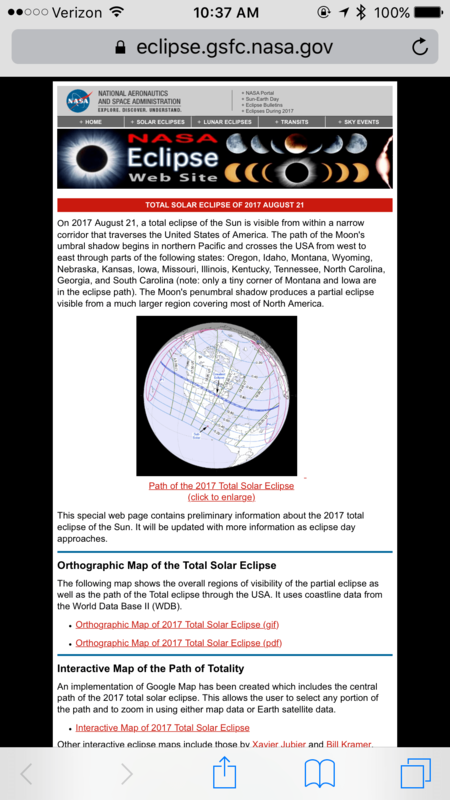 Here is NASA’s information about the Eclipse. A cornucopia of geek goodness.